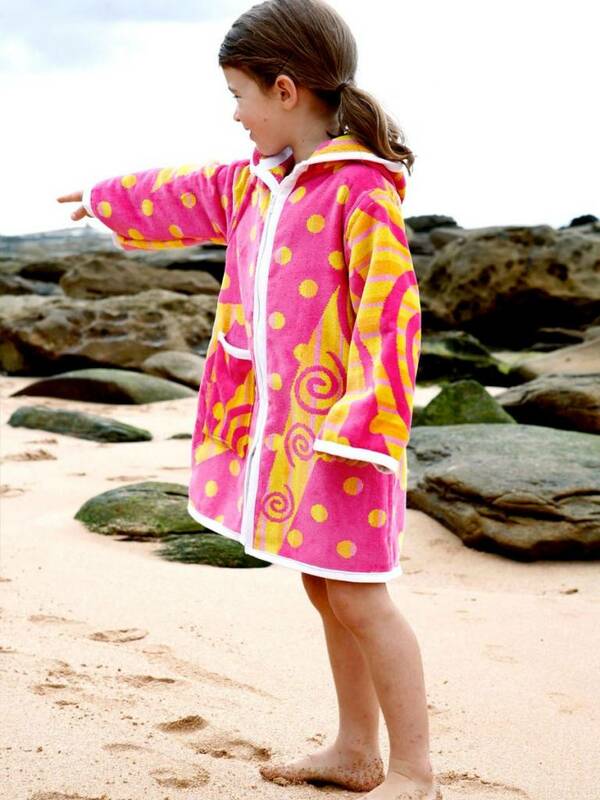 Luxury Beach Robe for kids in Carousel style. 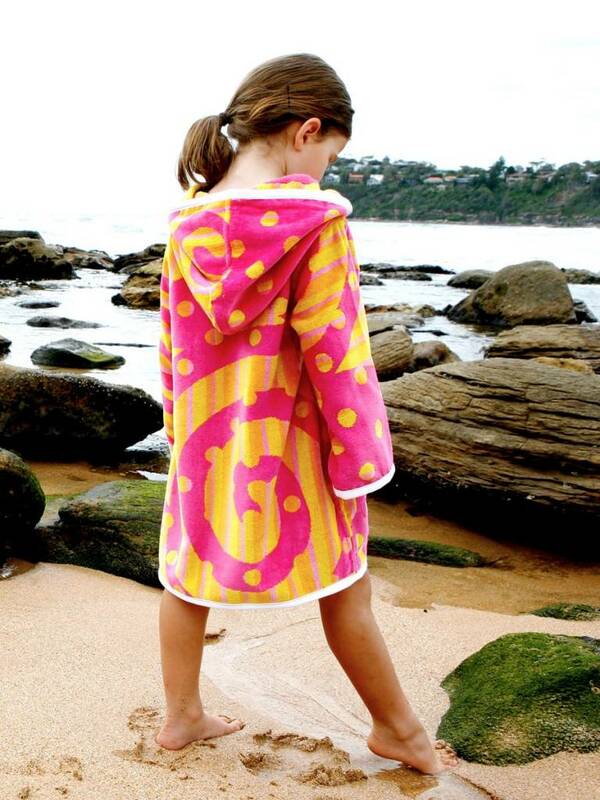 With signature quality and fabrics, hoodie cut and zip-up these beach robes are a must have for this Summer.Made in Australia. 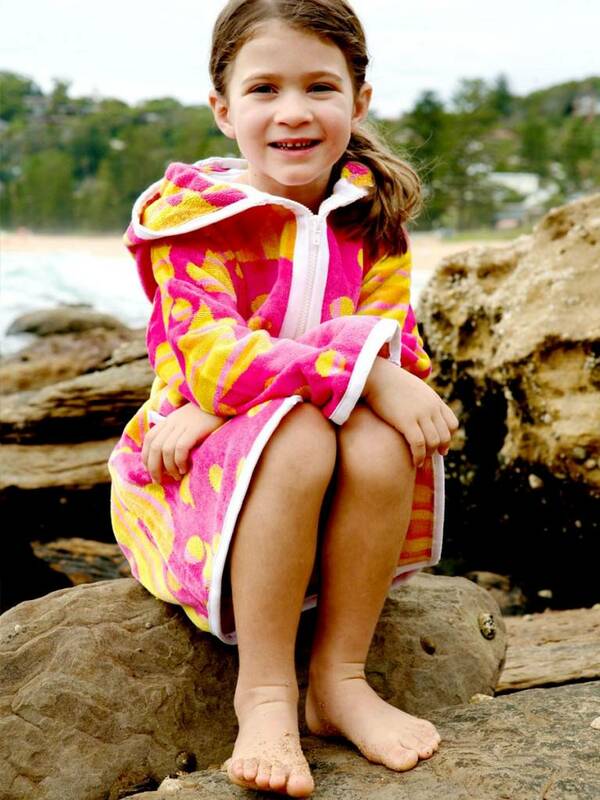 Australia’s favourite kids beach robes are here! Beautifully styled, beautifully made and so very cute! 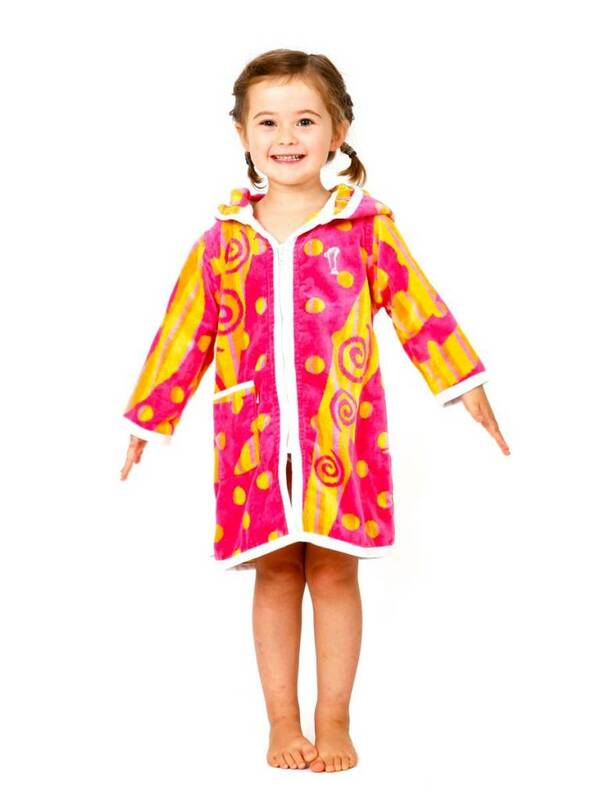 New season styles, colours & sized from 1 to 12 for boys and girls. Designed by Terry Rich Australia and proudly made in Australia. 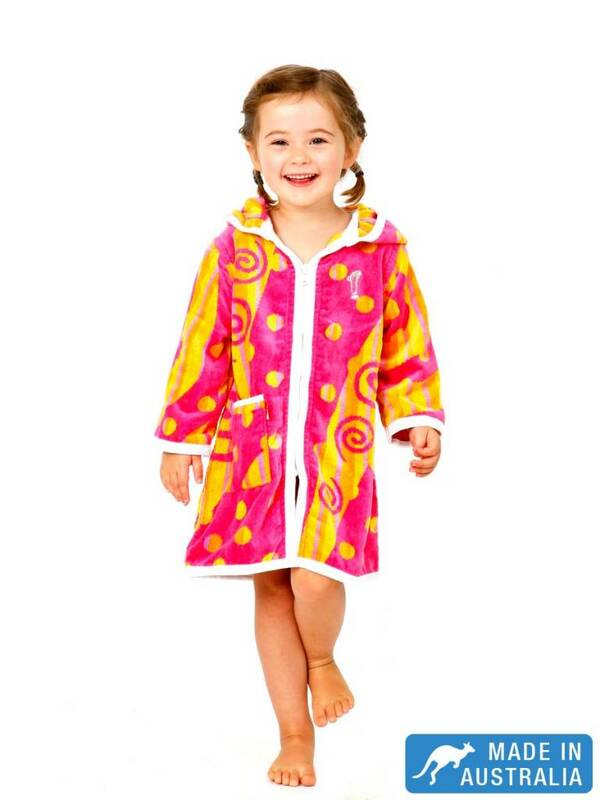 The pretty Carousel Beach Robe combines bright pink, yellow and fresh white trim into a soft and sweet girls favourite. 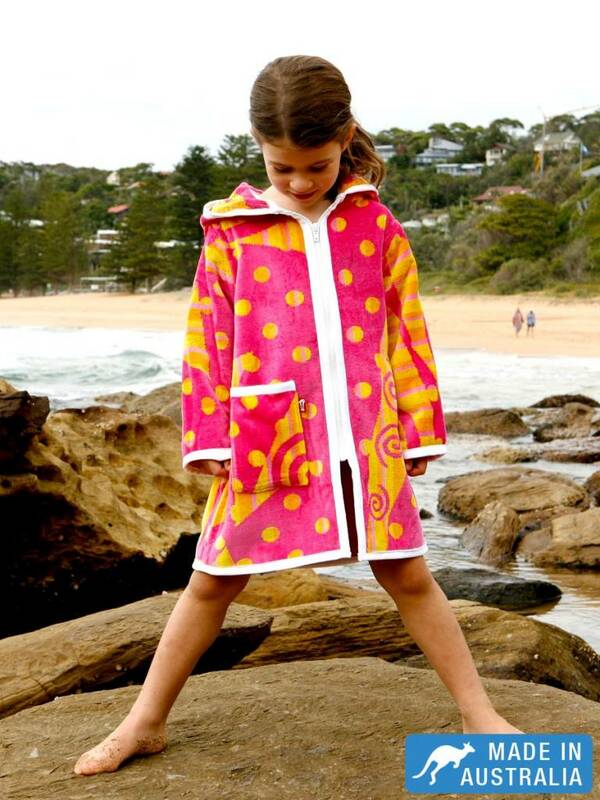 This beach robe for kids is made from 100% cotton towelling with a thick lining of terry loops for superior drying and warmth. Other unique features include over sized hood for great sun protection, covered and double stitched internal seams, fully lined hip pocket for collecting (and returning!) sand and shells, woven internal name badge, inside neck hang strap for back of the door drying, molded zippers for tough external environments and strong, taped sleeve cuffs for durability. Made beautifully in Australia from thick & absorbent 100% cotton towelling.